The Outback is a complex range of environments that exist within the inland and tropical regions of the Australian continent. This itinerary encompasses three distinct and diverse Outback regions, each home to an exceptional luxury lodge or camp experience that offer a very personal connection to this vast land, the wilderness, its wildlife, the culture and the people of the Australian outback. (march until september) scheduled departures are always on a saturday from broome, hunter river (via broome) or wyndham (via kununurra) please refer to their sailing schedule for current scheduled departures. (el questro operates from april - october) 2hr hosted drive from wyndham direct to el questro homestead, on days when true north ship makes a stop in wyndham. other itineraries allow disembarking in broome or darwin with a local overnight, then a 1.5/2hr flight and a 2hr hosted drive. In the middle of almost 1 million acres of Wilderness Park and 100km from the nearest town, the luxury of the El Questro Homestead sits in stark contrast to Western Australia’s rugged Kimberley landscape. Perched on a cliff top, with vistas of one of the most picturesque locations, the Homestead is a relaxed retreat catering for a maximum of 18 guests. Take off on a Helicopter Tour to The Lost City and Miri Miri Falls. Explore the Lost City with an El Questro ranger, followed by a cool dip in the pristine Miri Miri Falls while you enjoy a gourmet picnic lunch. 2 hour transfer to kununurra airport. 1 hour flight to darwin airport. overnight darwin. next morning, private 20 min flight to private airstrip (or 2.5 hour road transfer), 15 min hosted drive to bamurru plains. Bamurru Plains focuses on environmental sustainability and key luxury standards. This camp comprising nine wilderness bungalows exudes ‘Wild Bush Luxury’ bringing a touch of style to a remote and extraordinarily beautiful outback region, the Mary River floodplain, Australia’s answer to the Okavango Delta. Airboat tour – A morning trip out on the floodplain wetlands of the Mary River catchment in an airboat is utterly exhilarating and the only way to truly experience this achingly beautiful natural environment with its prolific bird and wildlife. 4WD safaris – With the recession of the waters from much of the floodplain in the dry season, the plains become accessible to 4WD vehicles and an afternoon out with one of the guides will provide a unique insight to this fragile and important environment. Aboriginal Culture in Arnhem Land & Kakadu National Park – The rock art galleries of Kakadu and Arnhem Land are only a short distance away and Bamurru provides an ideal base from which to visit Kakadu or Arhnem Land and return to an exclusive bush camp at the end of the day. 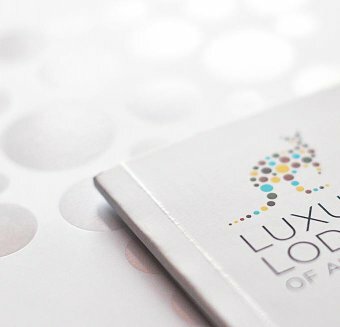 A natural extension to this outback experience would be a stay at the luxe lodge, Longitude 131°. 15min hosted drive to private airstrip, private 20min flight to darwin airport general aviation, overnight darwin, next day 2.5hr flight to ayers rock airport, 15min hosted drive to longitude 131°. Table 131° – Dine under the stars on sumptuous outback fare. As you arrive to your dinner setting, be greeted by the deep acoustics of the didgeridoo while Aboriginal performers welcome you with a cultural dance. Sunset Camel Ride – Explore the great Central Australia desert at a slow and relaxed pace, accompanied by an expert guide regaling you with colourful anecdotes about life in this remarkable region. FACT: More than 90 percent of Australians live in urban areas on the coast. However the outback and the history of its exploration and settlement provide Australians with a culturally valued backdrop, and stories of swagmen, squatters and bushrangers are central to the national ethos. The song Waltzing Matilda, which is about a swagman and squatters, is probably Australia’s best internationally known and most well-loved song.